With Summer fast approaching, nothing better than a cool breeze from the Antarctic with the company of a few penguins for a Pool Party. 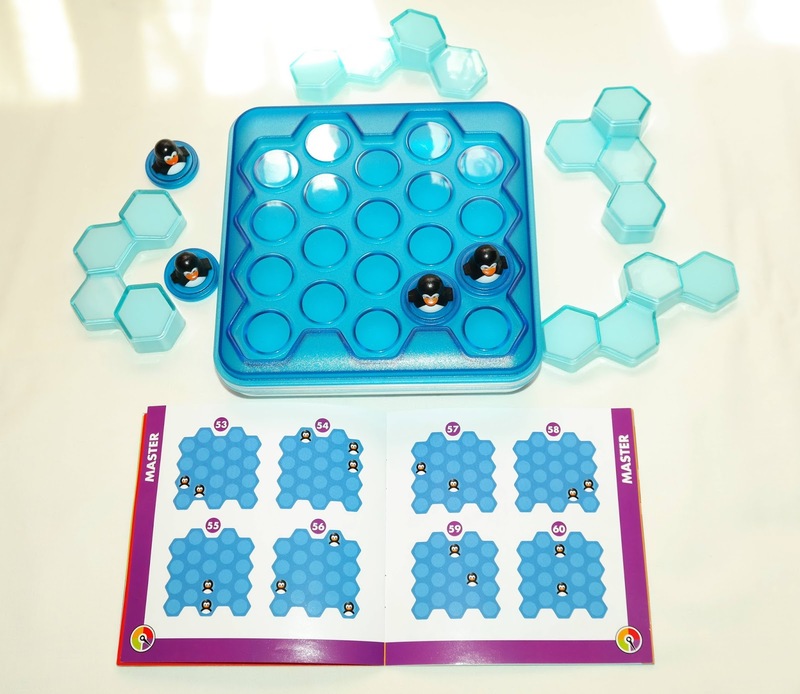 "Organized" by Raf Peeters and "hosted" by SmartGames, Pool Party is a fun packing puzzle game for all kids aged 6 and up. 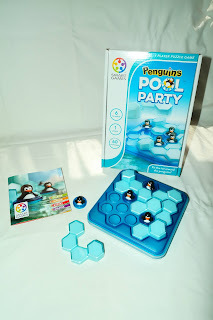 For anyone that likes packing puzzles, Penguins Pool Party is a simple but fun little game with just four pieces and four tokens. Don't underestimate it though, because the most difficult challenges will make you think hard and use your solving skills to the max. The design is, as always, flawless. 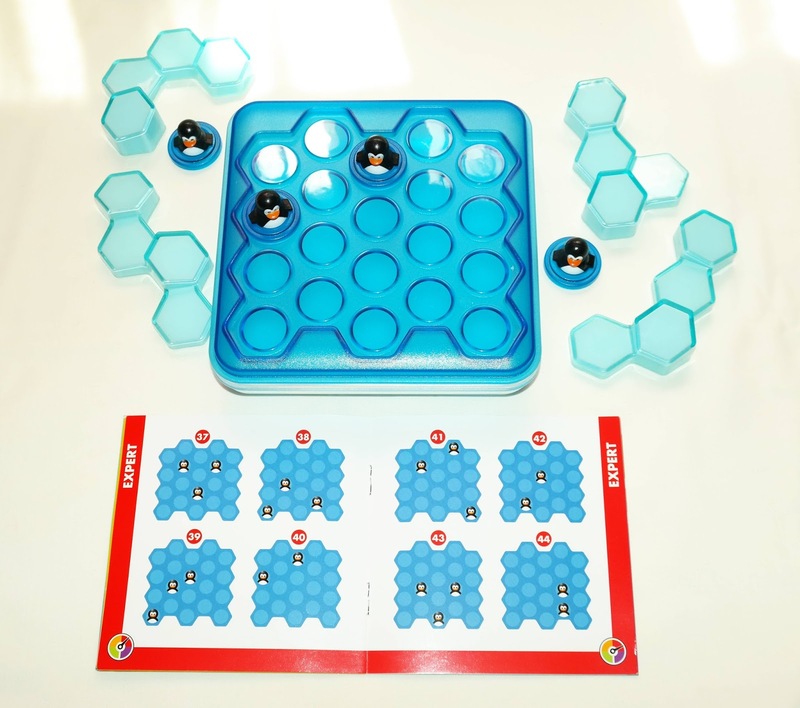 A beautiful presentation with high quality materials combine to deliver a great game that's accessible even to someone who's not used to play puzzle games on a regular basis. 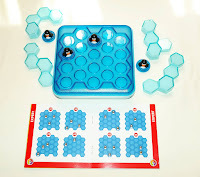 Each piece consists of four slanted hexagonal ice blocks joined at different angles to provide four non-identical shapes. 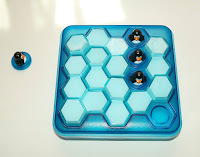 These pieces will then have to be placed in the game board with the penguin tokens taking the other four empty spaces left on the board. 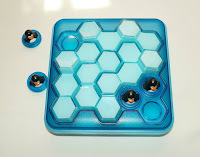 Since the more difficult challenges use less penguins than the easier ones, some empty places will remain on the board. 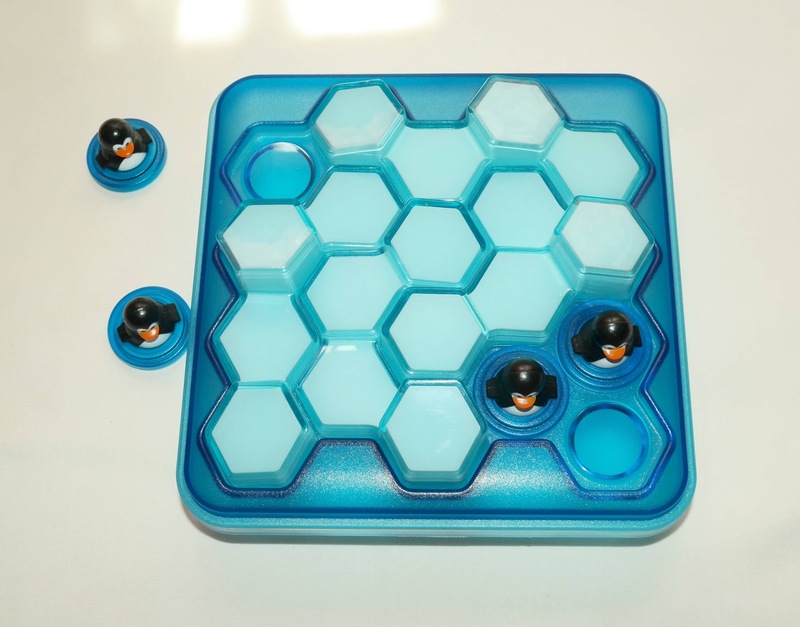 Solving the first challenges is quite easy: just choose any of the provided 60 puzzles in the booklet and place the penguins as shown. 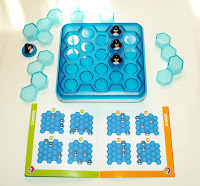 The goal is to place the four pieces around the penguins without covering them. Seems easy, but the unusual shapes of the blocks will certainly confuse you. 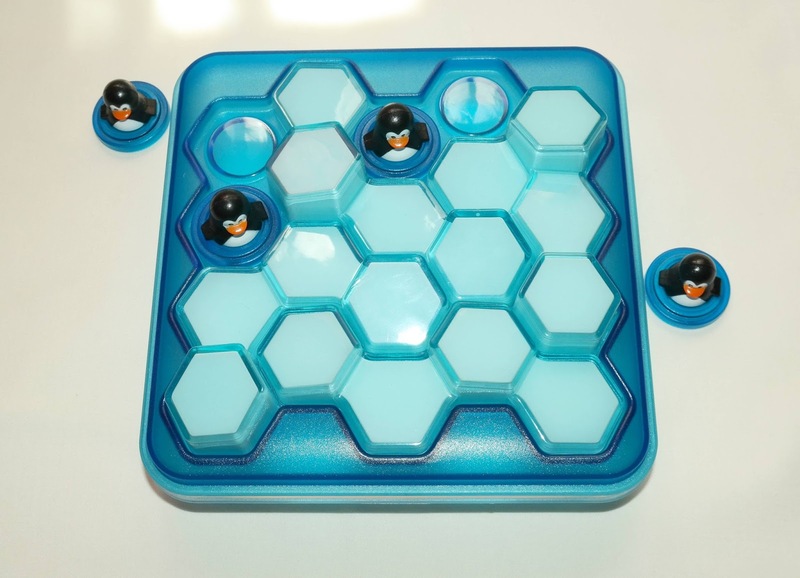 To make matters worse in later challenges, less penguins means empty spaces, but as you're solving a challenge you won't know which spaces are supposed to be empty, you just know how many. It's this uncertainty, however, that makes the game so interesting and fun to solve. 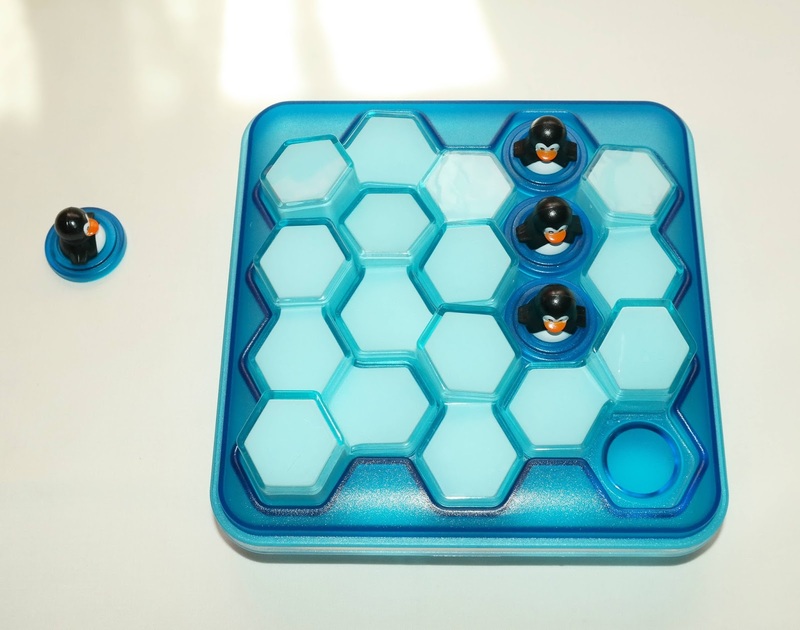 As usually, there's only one solution per challenge, so if you can place all pieces around the penguins you'll know you've solved it. 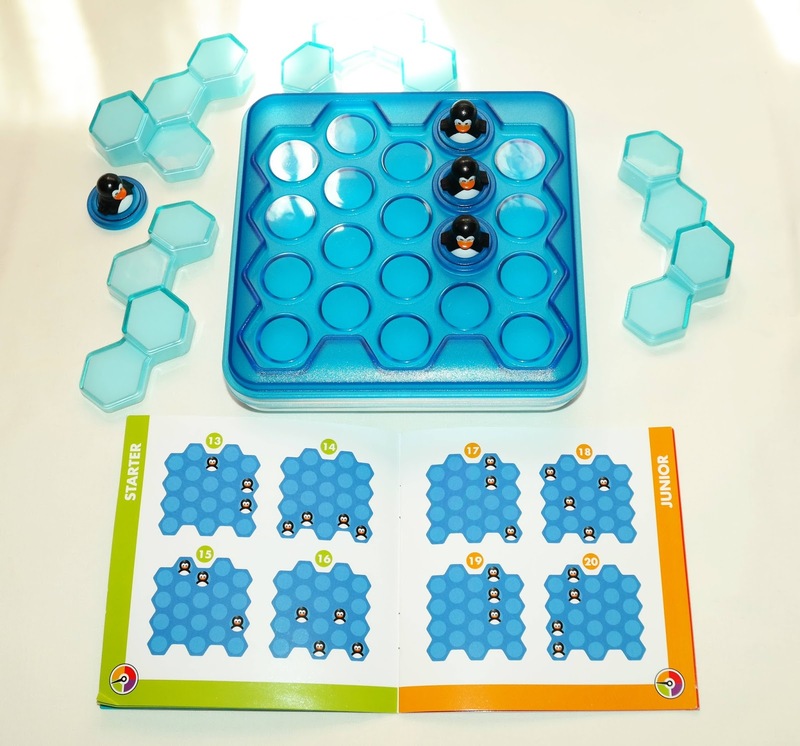 A perfect puzzle to take with you on your summer vacation, Penguins Pool Party is another great example of what makes SmartGames' games so appealing. The themes are well chosen and presented to a high and careful attention to detail that makes each game very unique and have its own personality. Can't recommend it enough. Availability: You can find the Penguins Pool Party at Amazon or any other major puzzle store. 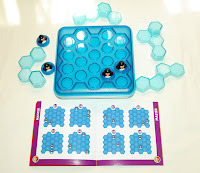 For more SmartGames check out their extensive catalog.